October is Pregnancy and Infant Loss Awareness month, October 15th, is National Pregnancy and Infant Loss Remembrance Day. 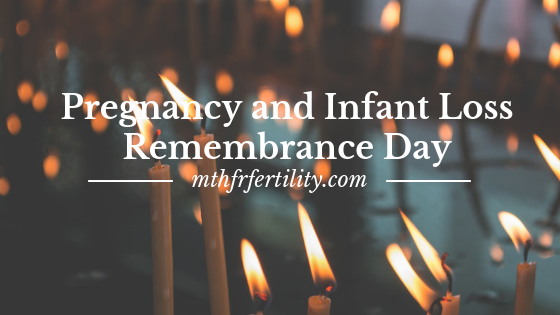 There are events going on over the United States on October 15th for National Pregnancy Loss Remembrance Day. This day provides a good opportunity to connect with and support other people who have a child. Many people lose their children due to miscarriage, stillbirth, sudden infant death syndrome, or other illnesses. The primary organization organizing National Pregnancy and Infant Loss Remembrance Day is CJ First Candle. CJ First Candle focuses on the reduction of sudden infant death syndrome, sudden unexpected infant death, stillbirth, and miscarriages. Another focus of CJ First candle is to emotionally support those who have lost a child. Joel and Susan Hollander founded CJ First Candle in 1994 to honour the passing of their daughter. Their daughter, Carly Jenna, died from sudden infant death syndrome one year prior in 1993. CJ First Candle works with researchers and local authorities to raise awareness of safe sleep practices and healthy pregnancies. 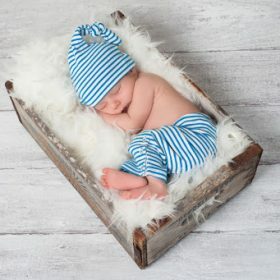 Did you know that over 250 infants die each much due to sudden infant death syndrome and sleep issues? The Safe To Sleep campaign is a campaign that began in 1994 that encourages parents to ensure their infants sleep on their backs at night. When infants sleep on their backs, evidence suggests that it reduces their chances of sudden infant death syndrome by more than 50%. The campaign is endorsed by the US National Institutes of Health and the US National Institute of Child Health and Human Development (NICHD). From 1992 to 2006 the campaign was successful because infants positioned on their backs to sleep in American households went from 13% to 75%. Share this information on social media! You can help the amount of babies dying each year from sudden infant death syndrome by increasing awareness of the benefits of putting babies to sleep on their backs. Finally, if you have not been putting your baby to sleep on its back, than its time to start! This entry was posted in Preconception, Pregnancy and tagged development, newborn, Preconception, pregnancy, stress. Your fertility journey begins here. We have created an introductory session with you in mind. Come and watch our FREE webinar!